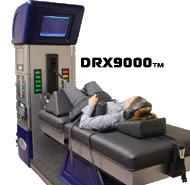 AXIOM WORLDWIDE RECEIVES NUMEROUS INQUIRIES REGARDING PROFESSIONAL GOLFER AND FORMER DRX9000™ PATIENT, FRANK NOBILO! In an open letter found on his website: www.nobilo.com, Mr. Nobilo states, “I have not, nor did I have any intention of entering this year’s PGA Tour Qualifying School.” In the letter he goes on to state that there were conversations regarding his return to this year’s New Zealand Open to help support the event, but that there have been no further conversations and he has not arranged his schedule to participate. In summary, Mr. Nobilo states, “I am flattered with the response from many well wishers in the short period of time since the article was released. While never a day goes by when I wish I wasn’t back out on the golf course the reality of getting back to competitive golf, whether it be regular or Champions Tour, is extremely unlikely.” We at Axiom continue to wish Frank and his family the very best in all of his endeavors.